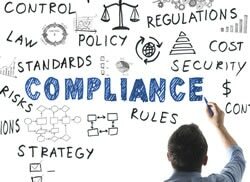 Regulatory Compliance | Cyber Security Solutions | Symtrex Inc. When it comes to being compliant with a security regulation or standard, we believe that it is not merely enough to place a checkmark in a box. You must address your security requirements to ensure that the organization is protected and compliant. While compliance is excellent, an adequate level of security is better. Most compliance regulations are driven to protect confidential and proprietary information, such as PII (credit card, Social Security/Social Insurance numbers, or health information) or sensitive files within the corporation such as financials, patents, and trade secrets. The suite of products that we offer is designed to provide a layered defense, thus blocking the holes through which those with malicious intents can penetrate. These products also assure that any internal threats on the network – whether intentional or not – can be mitigated, and will provide timely alerts so your security team can act quickly at the first sign of a threat. Our suite of products ranges from necessary end-user protection (see Sophos Intercept X) to products that perform advanced behavioral analysis of your network. They will also provide an overview of your existing network infrastructure by mapping out your network with all assets that are classified as trusted or untrusted. As part of our cyber security consulting services, we are available to assist with the setup and configuration of the software you choose for your organization. The Payment Card Industry Data Security Standard, or PCI DSS, is a standard for all organizations that handle credit cards and debit transactions. The standard was created to enhance the security of devices that capture and store credit or debit card information to reduce credit card fraud. The Health Insurance Portability and Accountability Act/Health Information Technology for Economic and Clinical Health Act, or HIPAA and HITECH, are national standards for the protection of electronic health information. This includes confidentiality as provided by the Patient Safety Rule. The Sarbanes Oxley Act of 2002, or SOX, sets regulations for public companies. ISO/IEC 27002 provides best-practice recommendations on information security management for use by those responsible for initiating, implementing or maintaining information security management systems (ISMS). DCID 6/3/NISPOM Chapter 8/JAFAN DoD is a manual that details regulations pertaining to information system security. NERC/FERC provides for standards that define the reliability requirements for planning and operating the North American bulk power system. For more information on how Symtrex can help you implement our cyber security solutions, please contact us directly to discuss your requirements.